← Spotting DEPRESSION in the Elderly: What are the signs? As we age, it becomes more and more important to pay attention to our health and to take steps to maintain it. Aside from getting services of skilled nursing in Illinois to better your health, there are a number of different methods you can use in order to stay healthy, and some of the most effective ones are also the most basic. 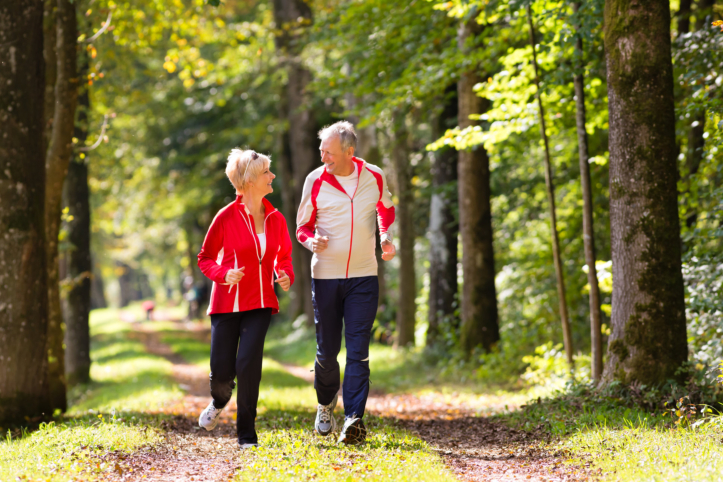 To stay young and healthy in your golden years, you will want to maintain an active lifestyle. This will not only improve your health but it will help you remain independent. One of the best exercises you can do in your golden years is jogging. This is a relatively simple workout and you can do it just about anywhere. It can help improve many aspects of your health and it can be quite fun with your favorite music on. Our home health care in Des Plaines, Illinois can even help you exercise effectively and safely. Swimming is an extremely effective exercise. It is relatively easy on your body but it also provides a full body workout. Going for a swim at your local pool will not only improve your health but it is fun and even therapeutic. However, it is important to have someone watch over you for emergency purposes, if you plan on going swimming. Stretching is another great exercise. There are many forms of stretching from Tai Chi to Yoga. Find a routine that you can truly enjoy and stick to it. This exercise is best done in the morning and can be done in junction with other activities. Stretching will improve your balance, agility, and it can limber you up. Also, it is known to be an excellent form of stress relief. Those are just a few fun and effective exercises you can do at an advanced age. If you would like to find out more about the benefits of exercise or about how our medical social services and home healthcare staff can help you, please feel free to get in touch with Holistic Health Partners, Inc. for more information today. This entry was posted in Healthcare and tagged Benefits of Exercise, Health, Senior's Activities. Bookmark the permalink.